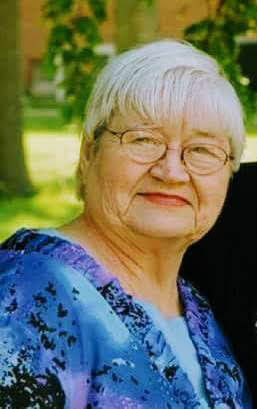 Patricia Ann Foster, 78, of rural Waynesville, passed away 3:20 PM, August 23, 2018, at Liberty Village, Clinton, IL. No services are planned at this time. A private family gathering will be held. Calvert Funeral Home, Clinton, IL assisted the family with cremation rites. She was born March 16, 1940, to Wilbur and Helen (Webb) Engelmann of rural Beason. She grew up on their dairy farm with her sisters: Lilietta (Meyers); Mary Bell (Begolka) and Bertha Engelmann, both deceased. Pat graduated from Beason High School, the Class of 1958. She married Carl (Corky) Lawrence Foster on April 26, 1959, at the Lincoln United Methodist Church. He died April 7, 2009, just two weeks short of their 50th wedding anniversary. Pat and Corky farmed his parents’ small rural Waynesville farm together, growing crops and keeping livestock. Surviving are daughter, Donna Smedley and son-in-law Steve Smedley; one grandson, Samuel Lawrence Smedley - with whom she shared a birthday; two granddaughters, Rachel Harney (Nicholas) and Emily Auten. There are three great-grandchildren: Liam Harney, Chevelle Harney, and Esmae Harney. A daughter and grandson also survive. Pat was preceded in death by her parents, two sisters, her husband and an infant daughter. She was a loving and devoted wife, mother, and grandmother. She worked for The Pantagraph’s library for years, laminating baby, engagement, wedding and anniversary announcements for the paper’s customers. She loved animals and children. She was multi-talented. Throughout the years she crocheted, knitted, sewed, tatted and tooled leather. She also taught herself to weave baskets and make cornhusk dolls. She was also an expert at making Christmas candy and baking bread. Pat always thought of her family’s needs before her own. She will be greatly missed.